Welcome to the great outdoor medicine chest. Growing your own remedies means learning how to harvest each herb and imbibe it in a way that will produce the desired medicinal effect. Often the easiest way is to dry the herbs and make a tea. If you’re a little more ambitious, you could also make herbal tinctures, an approach in which alcohol is used to extract the medicinal compounds and preserve them in liquid form. All of the herbs below have a long history of medicinal use and are widely recognized as safe. Still, always consult with a professional herbalist or medical doctor before using any medicinal herbs to ensure that there are no contraindications with medications you’re taking or pre-existing medical conditions that you have. Also known as coneflower, echinacea is as popular in the flower border as it is for its immune boosting properties. This native flower is one of the preeminent herbs for treating the common cold. Only the roots have medicinal properties though, so you’ll have to dig up the plant to make us of it. Harvest in fall. 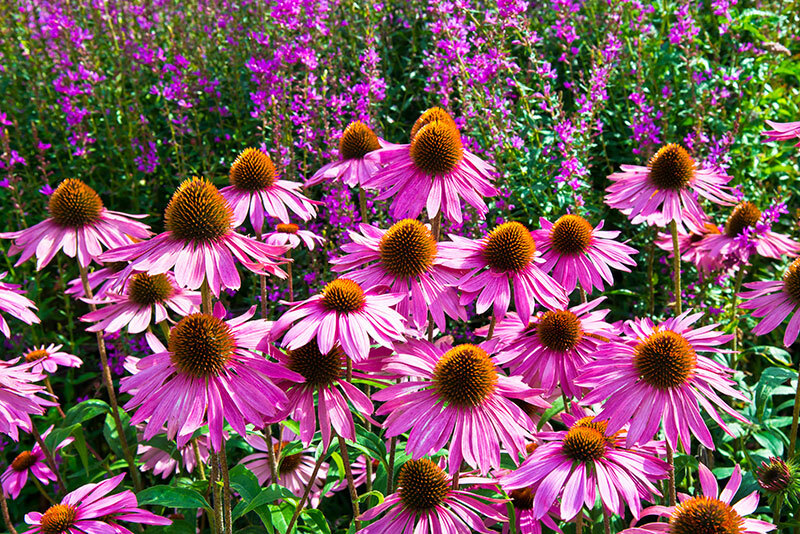 Useful in both tea and tincture form, echinacea needs full sun and grows about 2 feet tall. Grow from seed or potted specimens. While the decadent blossoms of the passionflower vine are beautiful to behold, it is the leaves that are used medicinally. It is considered a mild sedative and is often used to treat sleep disorders and anxiety; the herb has traditionally been used as an aphrodisiac, as well. This cold hardy native passionflower is the primary species used as medicine; the common ornamental passionflowers sold in many nurseries are subtropical plants that don’t have the same medicinal properties. The two look very similar, so be sure you’re buying Passiflora incarnata. Harvest in spring, summer, or fall. 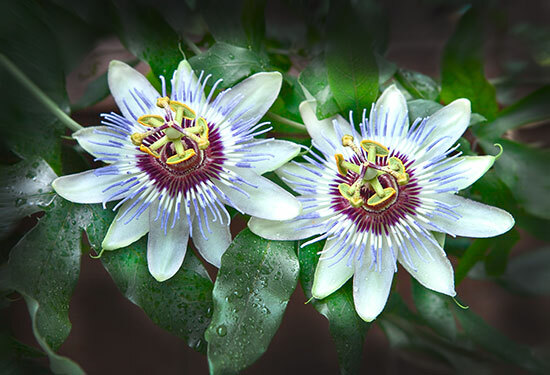 Used in both teas and tinctures, passionflower vine needs full sun and grows to about 20 feet. Grow from potted specimens. 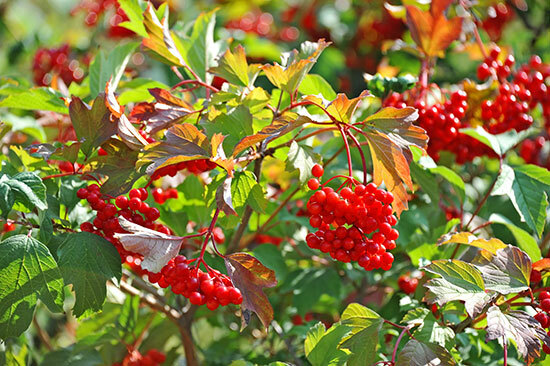 Also known as snowball bush, highbush cranberry, and guelder rose, this European shrub is one of the most popular herbal remedies for relieving menstrual cramps. Prized for its puffy white blossoms and sour red berries, the medicinal properties of the cramp bark bush, as the name implies, are found in the bark. The bark is easiest to harvest when the sap starts to flow in early spring, just before the leaves appear, when it peels easily from the smaller branches. It is primarily used in tincture form. Cramp bark prefers part sun and grows to 8 or 10 feet in height. The native North American species of cramp bark V. trilobum may also be used. Avoid using ornamental viburnums for medicinal purposes. You may be able to find wild specimens at your local native plant nursery; otherwise grow from wild-harvested seed. This tall groundcover with bright yellow blossoms is one of the top herbal remedies for mild depression and other mood disorders, though a variety of other medicinal properties have been attributed to it. The flowering tops are harvested in summer for use in tea or tincture. 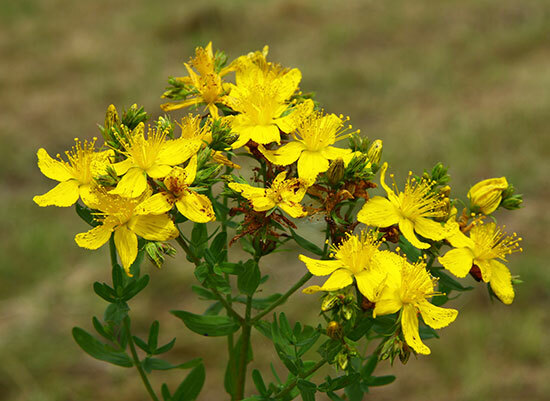 St. John’s wort prefers full sun and grows to about 2 feet. Grow from potted specimens. Also known as maidenhair tree, gingko is a majestic tree from Asia known for its golden fall foliage. 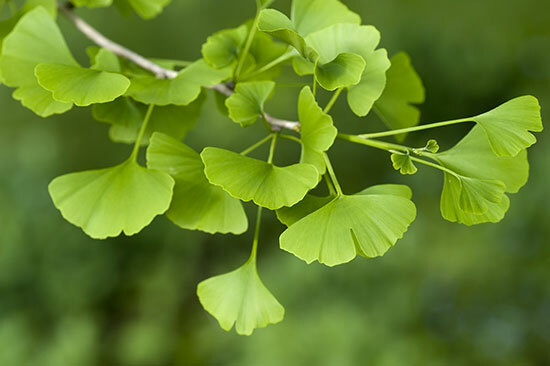 Commonly planted as a shade tree, gingko has a long history of use in traditional Chinese medicine, for conditions ranging from glaucoma to heart disease. Today, gingko is most often prescribed for memory problems. Harvest the leaves in spring or summer; primarily used in tincture form. Gingko needs full sun and grows slowly to 50 feet or more. Grow from seedlings. Both the creamy, saucer-shaped blossoms and purplish-black berries of this European shrub are used medicinally, primarily for cold and flu symptoms. 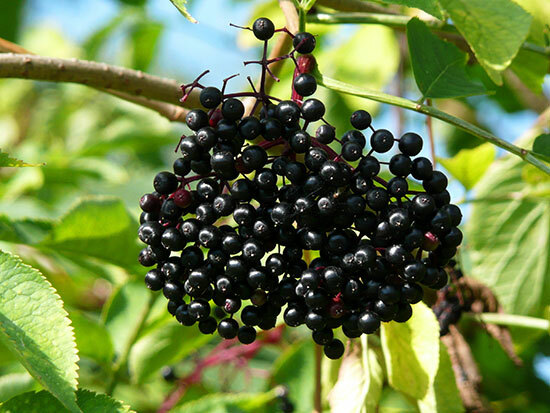 Elderberry is especially useful in treating bronchial irritation and for relieving a cough. Harvest the flowers in spring and the berries in late summer. They are used in both teas and tinctures, though elderberry cough syrup (made with honey, cinnamon cloves, and ginger) is one of the most popular ways to take it. Elderberry grows best in part sun and reaches 10 to 15 feet in height. The native North American elderberry species S. canadensis and S. cerulea may also be used; red elderberry (S. racemosa) is considered poisonous, however. (It’s not deadly, but you can count on a bad stomachache.) Avoid using ornamental elderberries for medicinal purposes. You may be able to find wild elderberry at your local native plant nursery; otherwise grow from wild-harvested seed. This dainty daisy-like flower is one of the easiest medicinal plants to grow at home – and one of the most popular remedies in the Western herbal tradition. Chamomile is a soothing, calming herb for the nerves, as well as for an upset stomach, though a long list of other healing properties have been attributed to it. The flowers are used for medicinal purposes, rather than the leaves, generally as a tea. Harvest in summer. 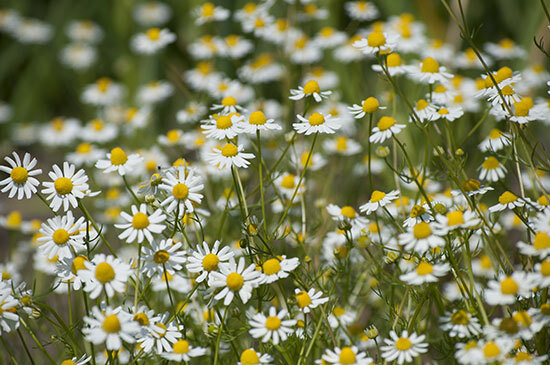 Chamomile needs full sun and grow to about 18 inches tall. Grow from seed. *Ornamental cultivars may not have the same medicinal potency as their wild relatives. The sources for seeds and plants provided are for strains with known medicinal value. I’m interested in herbal medicine. Thanks.